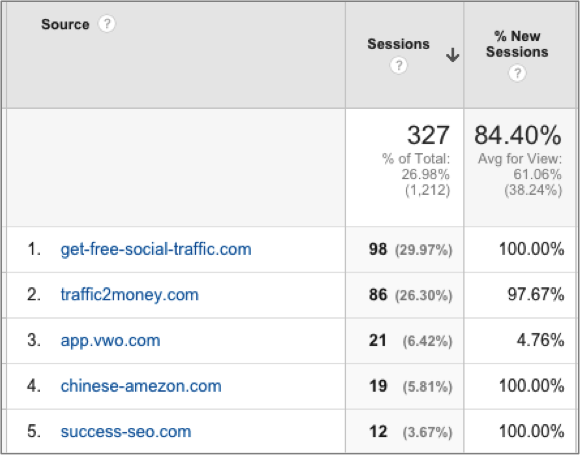 If you visit your referral traffic in Google Analytics you will note that a large proportion of the traffic is from unknown spammy URLs, which usually generate a very high or 100% bounce rate. So how to manage this referral spam traffic? Spam bots are designed to detect and exploit websites’ vulnerabilities – you need to have measures in place to stop them entering your website in the first place. Sites that are hosted on cheap packages and that have CMS shopping carts are usually the most vulnerable. A lot of spam referral traffic comes from Russia and China, but you might be surprised to hear that most is from the USA. 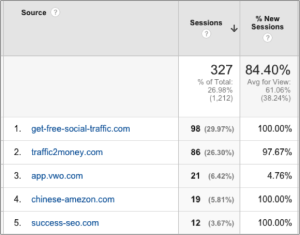 One way to eliminate this traffic is to set up some ‘Spam Filters’ within your Google Analytics. There are 2 ways you can block spam sites, either by country or via their web URL address. I have not found this tactic useful on its own as there are so many spam bots constantly replacing the previous ones I have excluded. The best way to avoid spam bots accessing your site is to have multiple defenses. Have a good hosting provider for your website. Use a custom or paid plugin for your shopping cart. Select ‘bot filtering’ with your Google Analytics ‘Admin’ settings. Install a paid spam plugin for your website eg Wordfence Security for bot spam or Aksimet for spam on your blogs. Block them in your .htaccess file in the root directory of your domain, with the help of your web developer. With all these measures in place, you should get a lot less of those nasty bots visiting and receive more realistic numbers in your reporting of referral traffic.